Looking for Latex Masks? Dallas Vintage Shop has the best selection of Superior Quality Latex Masks in the DFW Area! 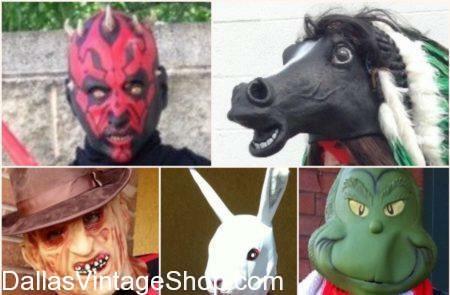 We have a giant selection of Unique Latex Masks along with the more common Licensed Movie Masks.